'Twas the season to encounter a million people where ever you go. 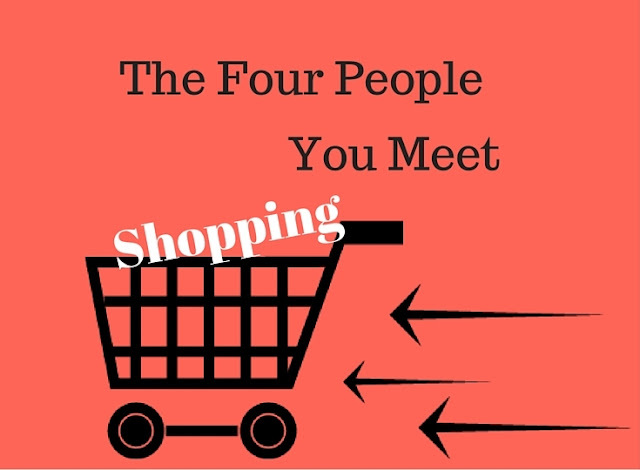 With Christmas shopping and after Christmas returning coming to a close I'm sure you encountered a few of these people in your merry way. Here are a few of my "favorite" people. Attached at the Hand Person This person is always on their phone. Usually texting or looking something up, never actually talking on the phone because that would make them less annoying and we wouldn't want to do that. This person is not to be confused with those of us who when texting in public step to the side and out of the way. OH no this person has to stop right in the middle of traffic, usually with someone else right behind them who almost runs them down. The Tourist The tourist does not mean someone from out of town in this instance, at least they have an excuse. The tourist is that person or sometimes persons who just feel the need to meander aimlessly pausing every few feet like they've never been to a mall or out in the world before. Resulting in a zigzag pattern that you can never quite get around, resulting in a 10 minute trek to that store on the other side that should only be 3 minutes. This is especially annoying and it seems you always encounter them when in a hurry. I very much enjoy kids, you get me started on my nephew and I'll show you photos for an hour but the spawn you can encounter will drive you crazy. There is always that one kid in the adult store, who has clearly had enough but yet said spawn's parental unit seems to not even realize it brought along a kid that day. This tends to result in one or more of these reactions, a massive temper tantrum brought on by wanting whatever item is near by and being told no, running around the store creating an insanely loud disturbance to which every one else in the store is staring at, or throwing items that will inevitably hit me, my cart or come darn close. I will admit to being one of those people who when they're out and about with a mission to being go, go, go. I attribute it to commuting for three years when I was interning at several of the big Chicago museums. Even though I walk like I'm on a mission I'm no where near as bad as The Runners. At least I care about running in to people. With Runners it's like they don't even seen the people around them. People walking towards a Runner? You better move out of the way because The Runner is definitely NOT going to do the courtesy side bob as you come at each other. The Runner will mow you down.